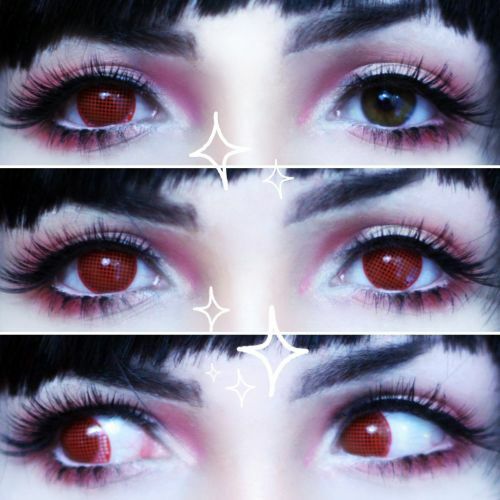 These contacts look exactly like advertised, and they make your eyes entirely red. Regardless of your natural iris colour, they are vibrant. Only problem is that the mesh holes are too small and your vision gets entirely compromised. Wear with caution - do not wear while driving. Still comfortable and very beautiful!